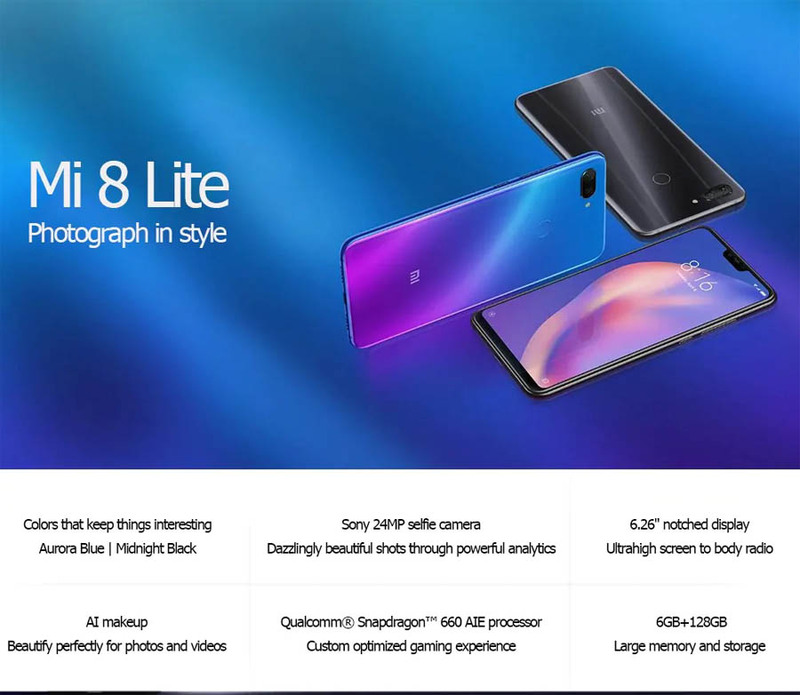 Xiaomi Mi 8 Lite Smartphone, Qualcomm Snapdragon 660 AIE Octa Core, 2.2GHz, 64bit processor GPU Adreno 512 Better graphics performance. architecture individually allocates tasks to each core, reducing power usage and heat. Games, webpages, and apps, look stunning and run smoothly. 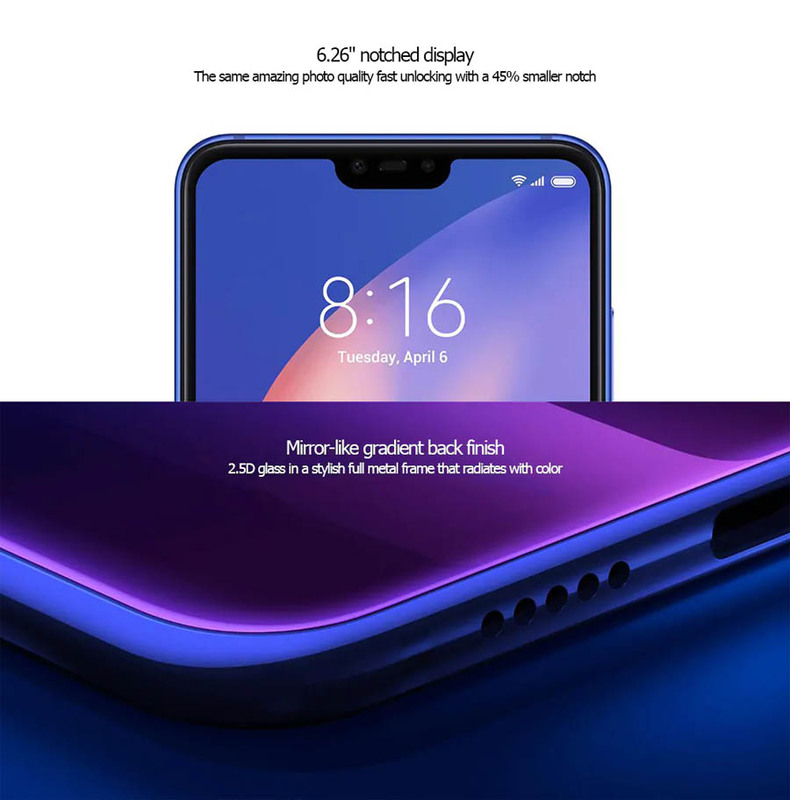 6.26-inch 2280 x 1080 FHD+，403 PPI，1500:1 FHD Screen. 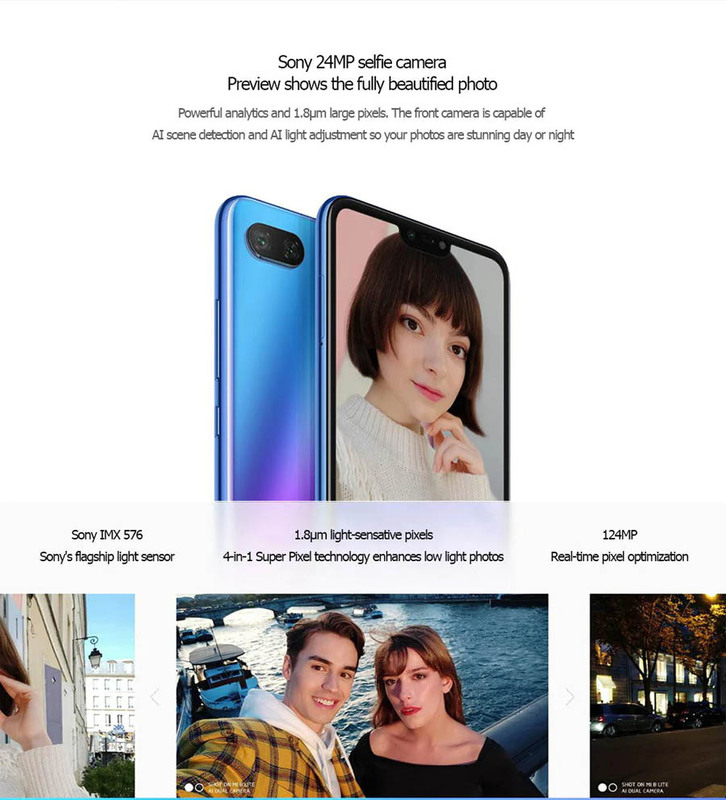 12 Megapixel + 5 Megapixel AI Dual Camera with 1.4um large pixels, f/1.9 large aperture, Dual PD dual-focus, a 24-megapixel front camera SONY IMX576 1.8um large pixels. 2,280 x 1,080 19:9 aspect ratio. camera, tethering & portable hotspot, E-Compass, Gyroscope, OTG, Google Play Store.